The leader of the Black Siblings, Kittan, makes his first appearance in the fourth episode of Tengen Toppa Gurren Lagann. 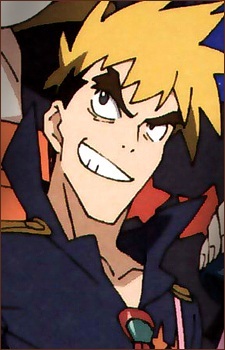 He joins Kamina and Simon in the Gurren Brigade after acquiring his own Ganman, the "King Kittan." As a Ganman Pilot, Kittan is a force to be reckoned with, and an asset to the Great Gurren Brigade. Despite his sometimes obnoxious attitude and eccentric behavior, Kittan is brave, noble, and willing to do whatever it takes to ensure that his friends escape whatever dangers they may encounter, no matter what the cost.